Join industry peers and learn about lighting industry specific issues and meet with suppliers to find out about new products and technologies at this annual conference. Includes sessions, lunch, and exhibits. Description of fall protection work plans for the purpose of recognizing evaluating and controlling job specific fall hazards. The Ontario Regional Common Ground Alliance (ORCGA) is the voice of Ontario's damage prevention professionals. The ORCGA works to reduce damages to underground infrastructure - ensuring public safety, environmental protection, and the integrity of services by promoting effective damage prevention best practices. A Q&A session about ESA inspection permits and when they are required for landscape lighting. 11:15 a.m. to 12:15 p.m. Lighting is everywhere! How to raise your landscape lighting business to new levels. Spend an hour with James Solecki and learn how to raise your game when it comes to outdoor lighting. 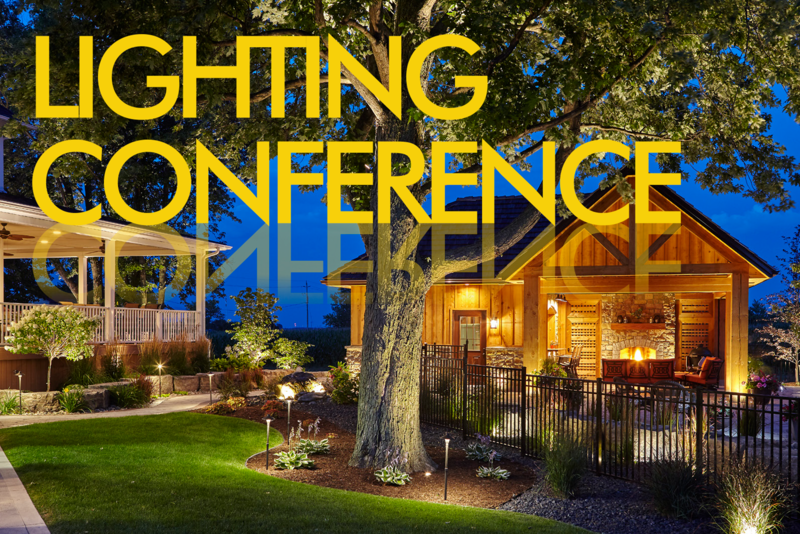 James will discuss the latest trends in outdoor lighting and provide lots of tips, tricks and techniques to help you rise above the crowd and stand out in this thriving and dynamic industry. Husband and father. Red Sealed Journey Person general Carpentry. Worked as a carpenter within the construction sector since 1989. 8 years delivering specialized and General Carpentry skills training as an Instructor/Head Instructor for apprentices/journeypersons and instructor trainers. 12 + years as a Health & Safety Training Consultant (field and class room level) with IHSA. Currently delivers Working at Heights and re-fresher training. Doug is a Senior Leader in Asset & Infrastructure Management with extensive experience in the construction, operations, engineering & integrity and safety management areas within the energy sector, primarily in natural gas storage, transmission and distribution. He is also an experienced people leader with extensive collaboration and communications skills required to influence industry associations, contractors & regulators. Doug holds a BASc degree in Civil Engineering from the University of Waterloo, a Masters degree in Welding Engineering from the University of Toronto, and is a licensed Professional Engineer in Ontario and Alberta. Doug has spent most of his career with Enbridge, working in the Gas Distribution division with roles in Engineering & Operations, Safety & Pipeline Integrity Management and Pipeline and facilities construction. Most recently, he has been working with a pipeline contractor in Alberta as well as his current role of President & CEO of the Ontario Regional Common Ground Alliance (ORCGA). Ken Martin Lighting Design (KMLD) *A Division of Copper Expressions*, is a Landscape Lighting Design/installation firm servicing clients within and outside North America. Landscape lighting offers an incredible expansion of the enjoyment of both residential and commercial properties. It makes outdoor spaces usable at night and adds a magical view into the landscape from interior spaces.Ken Martin, the principle designer, brings passion and experience to his landscape lighting designs for his clients. “Every system that I design and install is a potential sales lead, as most of my lighting projects are done by referral”. Ken offers an artistic approach with his designs and provides function, aesthetics and composition, which are all important components of a professional landscape lighting system. Although specializing in estate lighting, Ken has designed and installed professional landscape lighting systems on commercial properties and small residential oases. Lighting can add not only beauty and elegance to a home, it can offer safety and security that allows maximum use of spaces, and it can accentuate architectural and landscaping features, which can often be a large investment for homeowners.“Ken creates an emotional response for all of his clients and ultimately this extensively helps homeowners achieve their main desire, to extend and utilize their outdoor spaces in the evening”. ESA wiring Inspector for the last 4 years. Owned and operated a small electrical contracting business prior to joining ESA. James Solecki owns and operates four thriving lighting businesses in Muskoka and The Turks & Caicos. He started INTEGRA Lighting in 1998 and has grown the business into one of Ontario's leading outdoor lighting systems companies. Focused on providing residential and commercial properties with green, environmentally friendly and dark sky friendly lighting systems James has carved a niche in the lighting industry. With over 650 systems installed and with clients across Ontario and throughout North America, INTEGRA has become a sought after brand in Outdoor Lighting Systems. James and his INTEGRA business were honoured with six Awards of Excellence from Landscape Ontario. INTEGRA has also been awarded "Company of the Year" in the Huntsville/ Lake of Bays Business Excellence Awards and received an Environmental Stewardship Award from the Muskoka Heritage Foundation. Realizing a need to vertically integrate, James expanded his operations by opening JSLDesign, an interior lighting design firm, and ventured into the realm of LED lamps, building the first successful complete line of LED lamps for outdoor lighting systems. James is active in his community, volunteering his time with many worthy causes such as the Lion's Club, Chambers of Commerce, School Parent's Council, the YWCA and others. He lives with his wife and two children in the "suburbs" of Port Sydney some of the time, and at his new home in the Turks & Caicos most of the time. President of Nature’s Way Landscaping , Certified Landscaper/Horticulturist , ICPI Certified Installer and Instructor.